Making a personalized gift for any wine lover couldn’t get any easier than making a Hand-Dotted Wine Glass! This adorable, easy and inexpensive handmade gift will quickly become one of your go-to gifts to give! All you need are wine glasses (or even regular glass tumblers!) from the dollar store, some acrylic paints and q-tips and you are good to go. Put a small amount of your color choices of enamel paints on the plate. Remember that this project won’t take much paint, so only add about a dime squeeze of each color. Don’t forget you can mix colors to make new ones. 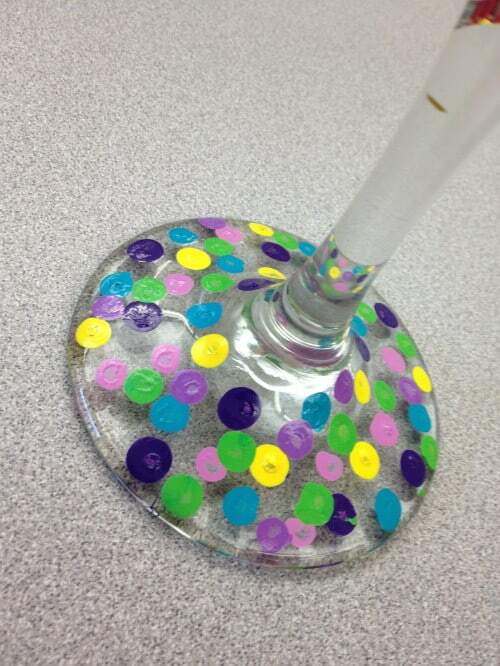 Using separate q-tips for each color, add a layer of dots to the base and bottom of the glass. Leave spaces between the dots and do not layer them on top of each other. Instead, let the first layer dry for about an hour, then add more dots, layering them on top of the first. 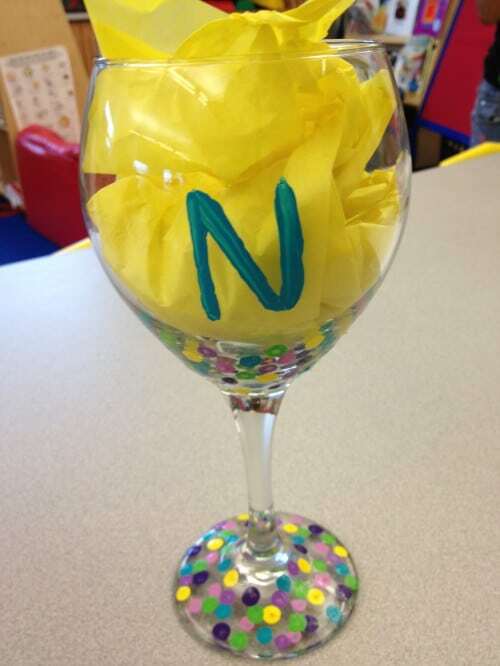 To personalize the gift, paint an initial or name on the glass. Let your paint air dry for 1 hour. Then, place the glasses on the parchment covered baking sheet and place in the cool oven. Turn on the oven to 350 degrees and bake for 30 minutes. 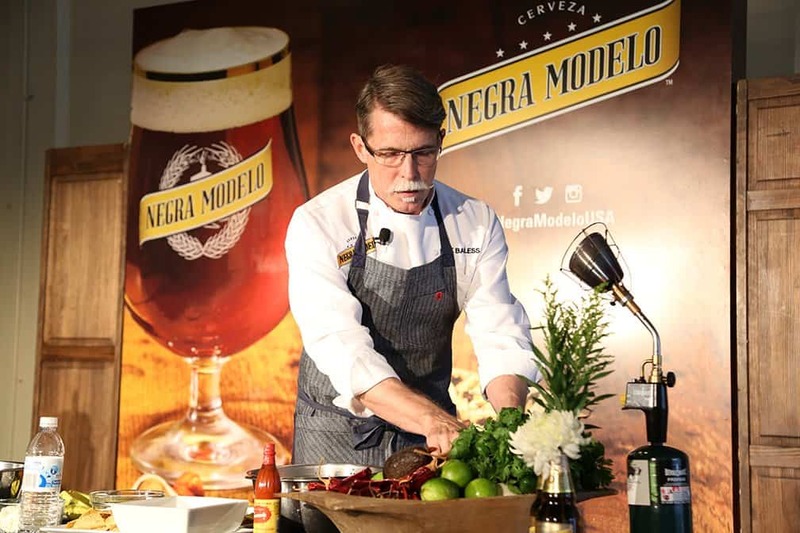 Then, turn off the oven and allow the glasses to sit in the cooling oven for 1 hour. Simply add some tissue paper to the top and pair with your favorite wine and you have the perfect gift for any wine lover! Medela And Hard Rock Hotel Help Out Traveling Breastfeeding Moms! Can the glass be used and washed after that? Wont the paint fall off if dishwasher washed? I have only washed them by hand, but the paint hasn’t come off. Enamel paint will work better and not flake off. That is what was used on this glass. 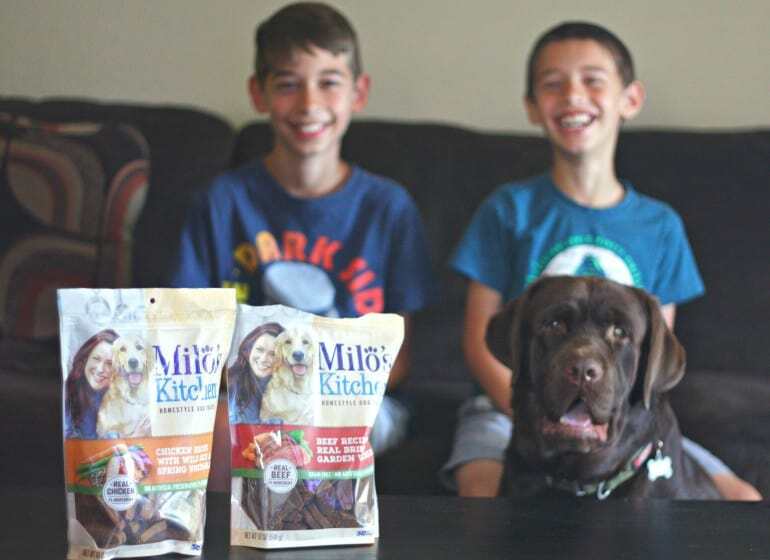 These are excellent products ! Can wine glasses be available in these shapes ! Amazing ! Really loved all the Diy !